DermOrganic is a line of hair and skin care products with formulas based around naturally derived ingredients that replicate the elements hair and skin use inside to replenish, refresh, and maintain their beauty from the outside. Their products also feature argan oil, which contains vitamin E and linoleic acid that protects and moisturizes the hair and skin. The DermOrganic simple philosophy is "less is more" and only the best, most essential and fully researched ingredients go into their formulas with the result being youthful looking hair and skin. If you've seen some of my beauty posts then you know that I love using natural ingredients as much as I can and that I really value high quality products. It should come as no surprise then that my personal beauty philosophies strongly align with DermOrganic brand philosophy. I had seen DermOrganic a few times at Ulta before and was very excited to try their products! I can honestly say that since I started using them they've changed my hair and skin for the better. 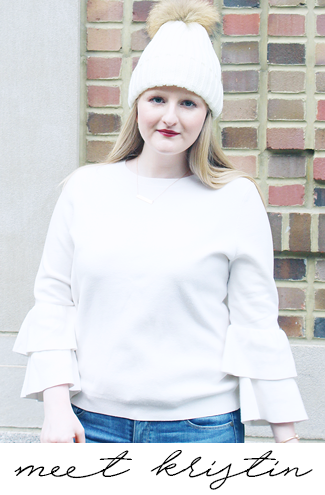 While I really like all of the products I've tried from DermOrganic, I do have one in particular that is my favorite; keep reading to learn about the products, what I think of them, and see which one is my favorite! This shampoo is sulfate free, which I think is very important because sulfates can dry out hair and irritate the scalp. The thing about this I think is really cool is that it is made with facial cleansers derived from lipids and amino acids that moisturize and strengthen hair, moreover it makes this even more gentle on the hair and scalp. It is also super safe for salon treated and colored hair! This has to be the thickest shampoo that I have ever tried, so thick that it wouldn't work with the pump bottle it came in and I had to remove the pump and squeeze out the shampoo. It requires as much product to get a nice lather as other sulfate free shampoos I've tried and easily rinses out of hair. I can definitely tell that it is made from facial cleansers as it has a different texture than most shampoos, but it is different in a good way. After using this my hair felt very clean and incredibly soft, which is a often a hard combination to find in a shampoo. Furthermore, this doesn't irritate my very sensitive scalp and actually leaves it feeling soothed. This mask is rich in rice amino acids that replicate the keratin structure of human hair. It works to seal cuticles, repair damage, balance pH, and restore resilience. It also smoothes hair and helps to make it more manageable. It works to strengthen hair from the inside out and since it doesn't contain harsh ingredients like silicone and glycerin it is safe for everyday use. For me this has become a holy grail hair mask! I love very thick conditioner and this is just that. It makes my hair probably the smoothest it's ever been and repairs any damage I have, but never leaves my hair greasy, which has happened with other masks. I typically use this once a week while I'm in the shower and try to use it on a day when I'm shaving my legs so that it is in for longer. I really want to wash my hair, then apply this in the shower, put on a shower cap, and leave it on for an hour or so, so it will give my hair a very deep conditioning. This treatment is meant to protect, repair, and improve shine in hair. Moreover, it restores optimal moisture balance, smoothes and softens, and protects hair from thermal styling. It also speeds drying time by up to 40% and is filled with Omega-6, lipids, antioxidants, vitamin E, and more. 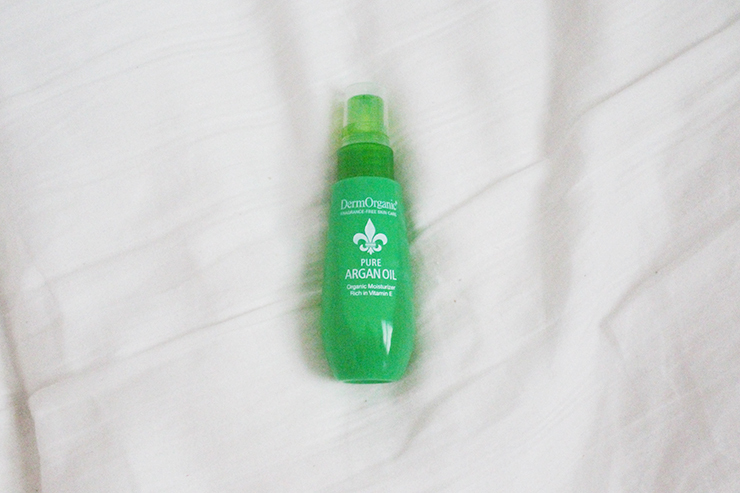 I love how this not only moisturizes my hair, but helps to protect it from heat styling too. It also smells really good and makes my hair extra silky smooth. This is meant to be used on clean, damp hair and while I do use it for that I also like to use it on dry hair as a styling aid and to moisturize my hair. 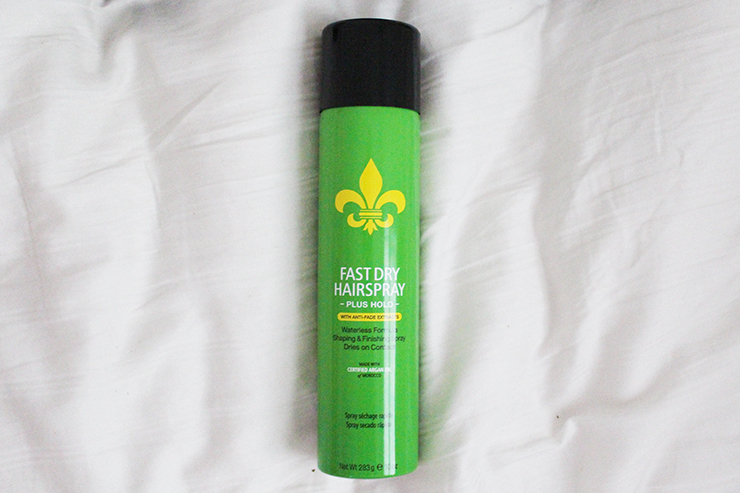 This hairspray contains a blend of three eco friendly polymers designed to dry fast and keep hair in place. It helps hair to maintain its shape even after brushing and is never sticky or heavy. Furthermore, it holds all day, is resistant to humidity, and contains anti-fade extracts to protect colored hair. I don't really use hair spray, but gave this a try and really like it. I also had my Mom who is a hairspray aficionado try this and she loves it! We both love that this contains argan oil because it makes it less harsh on our hair then other hairsprays. Additionally, it smells amazing and leaves that lovely scent on our hair all day long! This organic argan oil can be used for both hair and skin. It is rich in lipids and vitamin E and is intensely moisturizing. This is hands down my favorite product in the bunch. I love it for my super dry skin and it even made the list for my September Must Haves. I put this on my face almost every night after cleansing and I have seen a serious improvement in moisture levels and the condition of my skin. I think that since it is so moisturizing this will be especially great in the winter when my skin gets extra dry. I'm also dying to try adding some of this to my hair when my ends get a little dry. If you haven't tried argan oil, I recommend trying this one ASAP - your skin will love you! If you're wanting to try some DermOrganic products for yourself the best time to do that is now because Ulta is giving away a free Argan Oil (my favorite product!) with any $20 DermOrganic purchase through September 25th, both in stores and online! 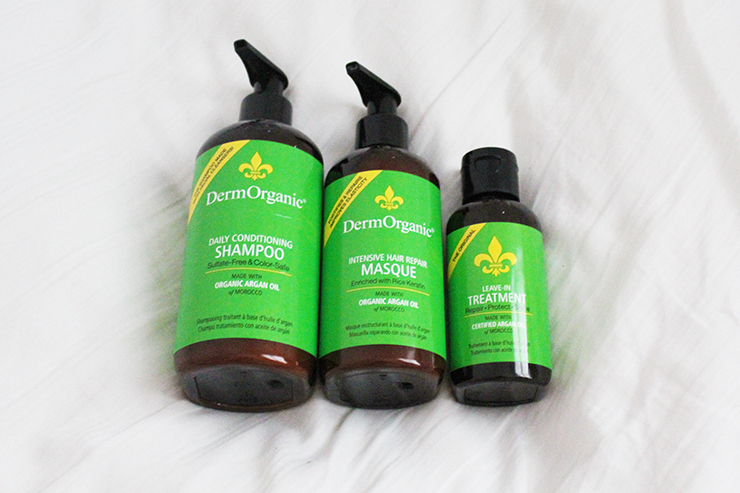 Have you tried any DermOrganic products before? *I was given the DermOrganic products mentioned in this post by BXX Media Influencer Network to facilitate my review, however opinions of these products are all my own. I love trying natural products as much as I can, too. I'll check these out. OOoooh...Interesting, I have never heard of this brand before. 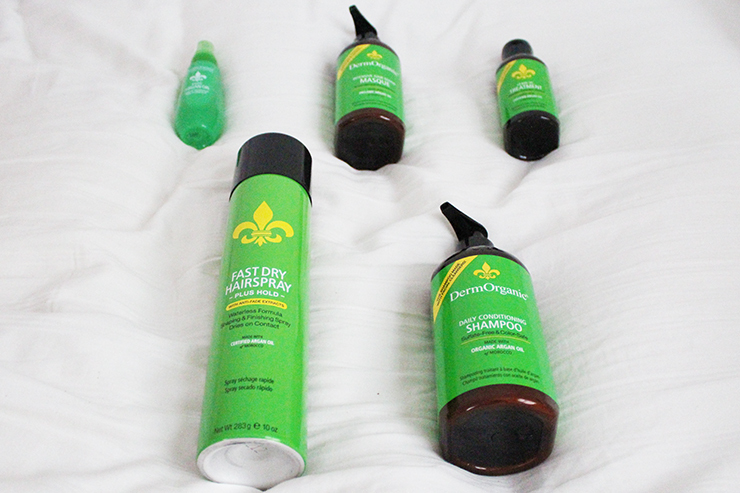 I love natural products, and my hair is getting really long. I'd love to try something that'll help keep it healthy and improve shine. I love natural hair products so thank you for introducing me to this brand! I'd love to try some more natural products in my hair. The ones I'm using are definitely not natural but they're working on my hair so well, I'm hesitant to switch. I love using more natural products!! Thanks for sharing your thoughts on these.